‘Best Apps for Melbourne’ came after being inspired by Evielyn Chapman from ‘She’s a Geek’. Evie suggested I write ‘best apps for Sydney‘ and ‘Best apps for Melbourne’ for business and those visiting these cities. It was fantastic to meet up with someone who does what I do (but in Sydney) and share ideas and visions for 2014. So, here are both of these blog posts which I have had great fun researching and will definitely be using some of these apps now. Being in Sydney has it’s advantages and disadvantages. The sun seems to rise earlier (and set earlier) so I have been up since 5.30 thinking of today’s blog post. I thought I would continue along the similar lines to yesterday and blog about ‘Best Apps for Melbourne’. Each city has their own quirks and star features, so will try and find #apps for business and travel for Melbourne. I have lived in Melbourne since 1998 after leaving Tasmania to study at the University of Melbourne for my Bachelor of Music/Bachelor of Teaching degree. This apps are perfect for either people visiting Melbourne for travel or for business. When in Melbourne, for either Business or Travel, the best place for information is at Fed Square where the Visitor Information Centre is located. Here are some free apps listed from the ‘Visit Melbourne’ website. Great apps listed for wining and dining and events in Melbourne. My friends who are passionate coffee drinkers love Melbourne for the variety of coffee shops and places to get the best ‘brew’. ‘Beanhunter’ will find you where the best ‘brew’ is nearby to wherever you are or anywhere in the world (now that would be handy when travelling overseas). Yesterday, I mentioned the app ‘Transit Times+ and this definitely seems to be the best app for finding current travel times in Melbourne, use the trip planner and even check your ‘Myki’ balance. There is nothing worse than travelling on public transport and realising your balance is low. 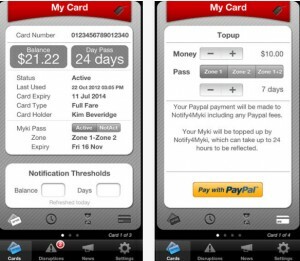 I have just discovered this amazing app, Notify4M where you can check your Myki balance and even top up using Paypal, perfect for business travellers coming into Melbourne. The familiar red bus that departs from Melbourne Airport otherwise known as the ‘SkyBus’ and here is an app to help you with timetables etc. Always important to be able to get into the city easily and quickly (if you don’t want to catch a cab). One of the things I have loved about Sydney is how easily I can get from the airport into the city and onto my next destination (yes you do have to pay a little more) but it’s well worth it and much cheaper than taking a taxi on your own. Feeling like a bit of exercise to get from one appointment or the next (or even go for an early morning ride when in Melbourne), this is the bike share system that is set up around the city. It displays the bike docks and availability of the bikes at each bike station. I love this app as you can set up different bike routes to try out as well as optimising these bike routes with an address or location. It also has Google Places as a feature of the app to help you really get the best experience. Free or hire (check here) helmets are available at each bike station which is definitely a bonus. This is a great way to book a cab in Melbourne for the distinctive yellow cabs. The app will detect your location (stand outside for best results), give you an approximate fare for your trip and find a taxi rank closest to your current location. It also leapfrogs the phone lines making it much quicker for you to use this service. Time to enjoy Sydney, before a busy day of meetings and then returning to Melbourne. 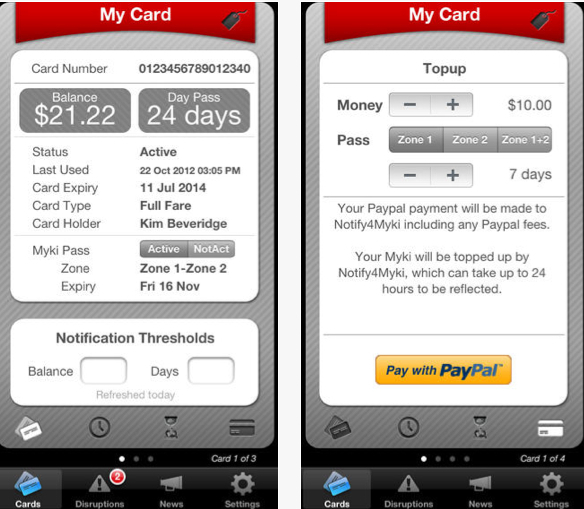 Don’t forget to check out yesterday’s blog post on ‘Apps for Sydney’. Only two more days of this #30dayblogchallenge and I think I will be taking a little break from writing regular every day posts…Remember, always take things ‘one byte’ at a time.